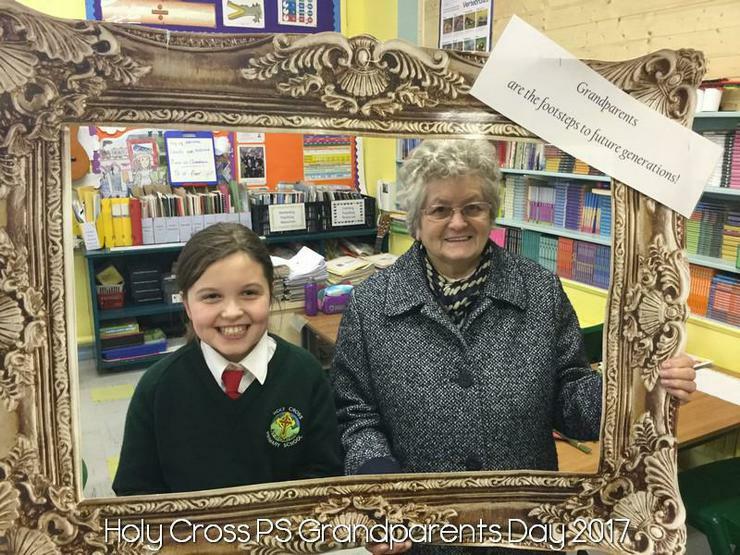 Grandparents Day was very successful. 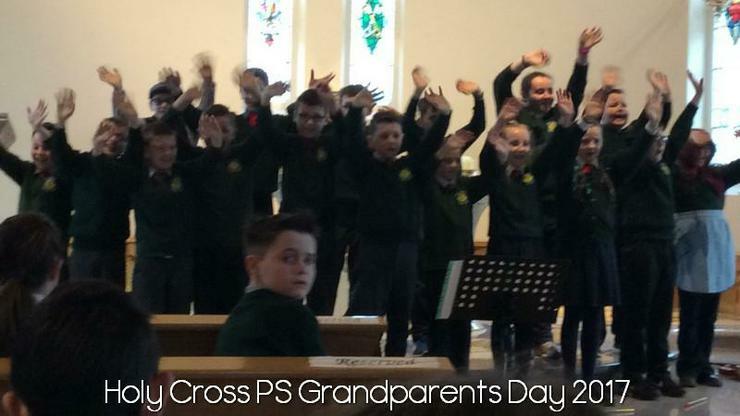 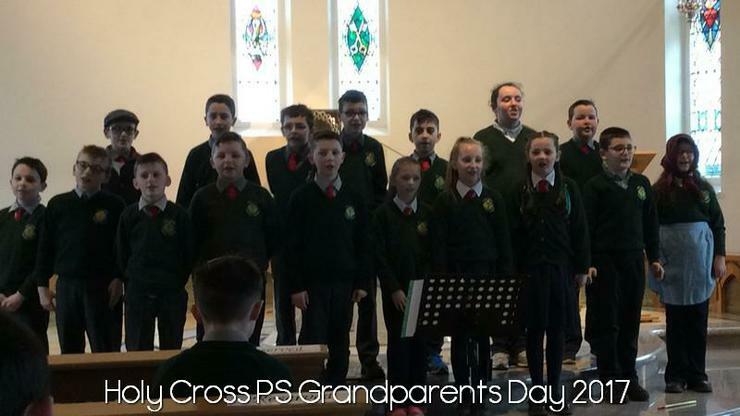 We began with Mass in Holy Cross Church followed by some musical performances from each class. 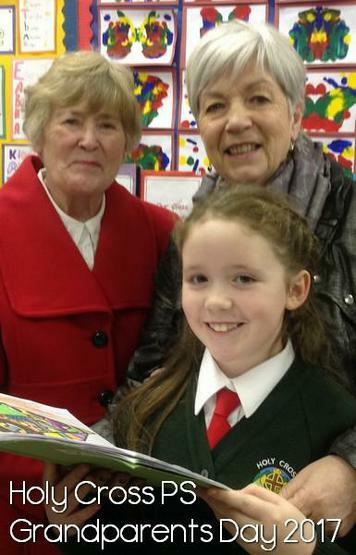 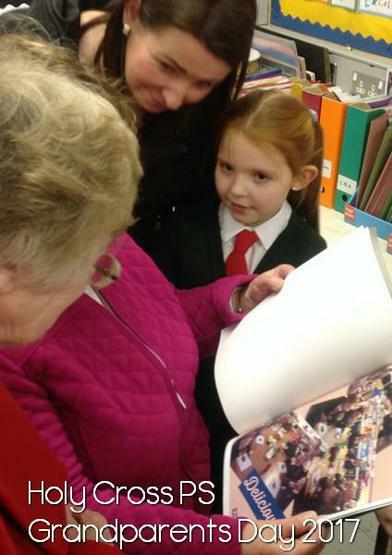 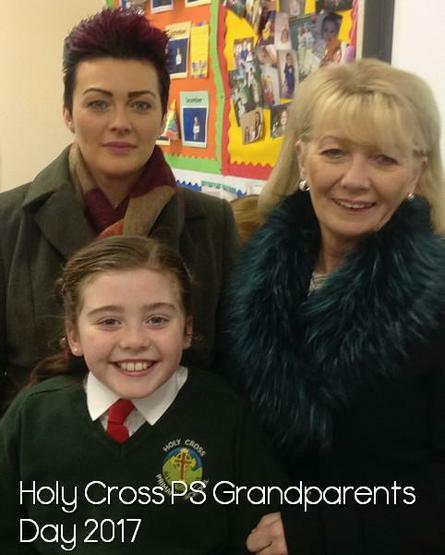 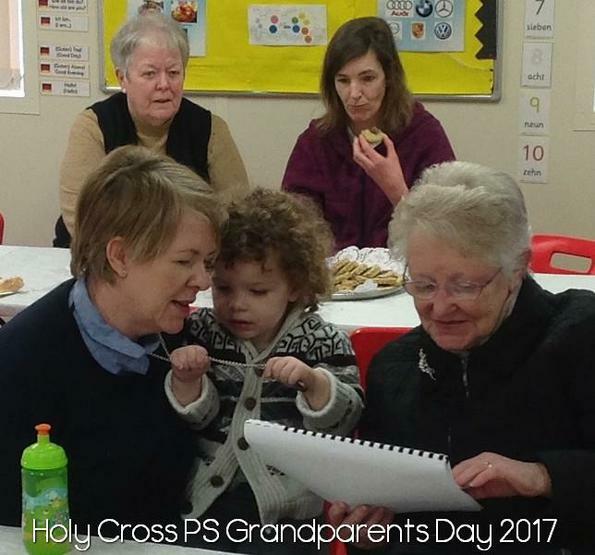 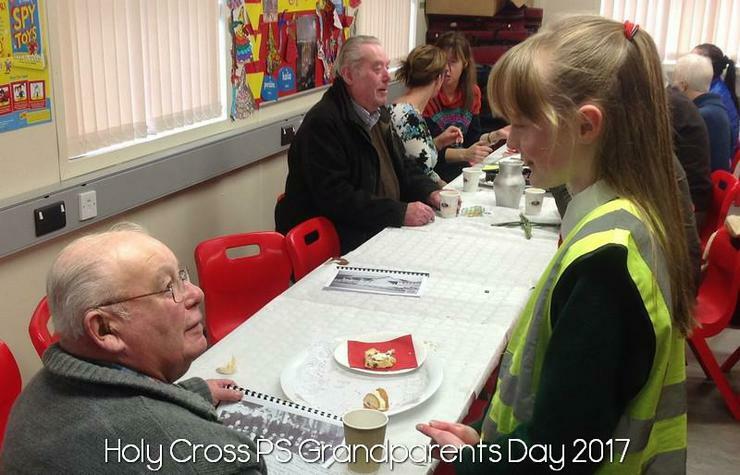 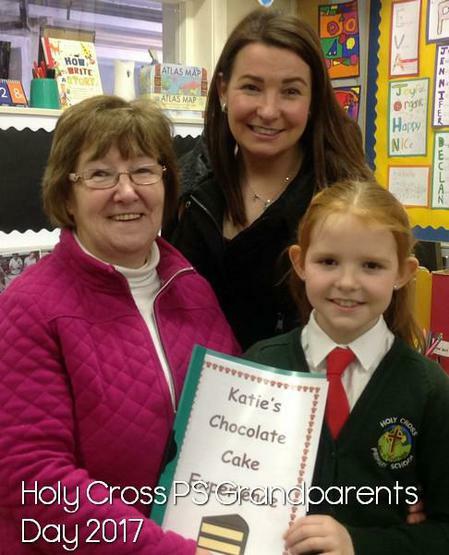 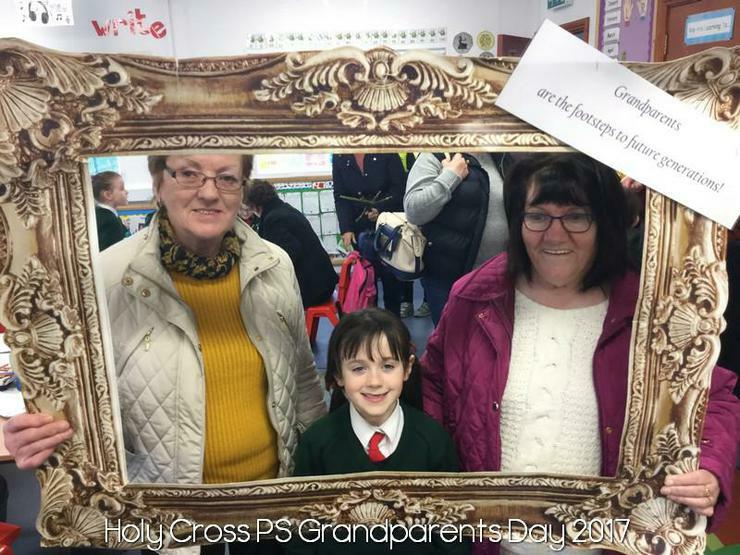 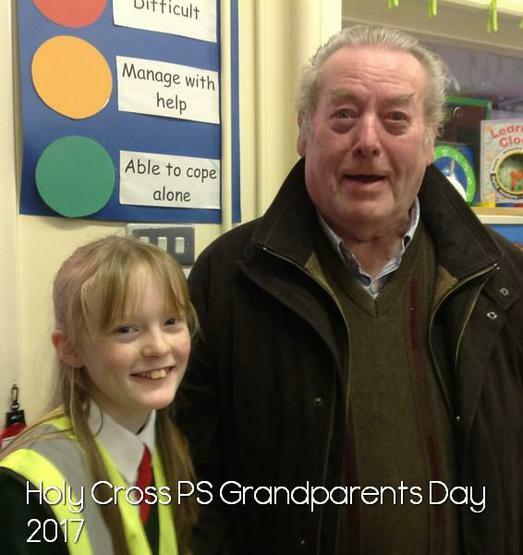 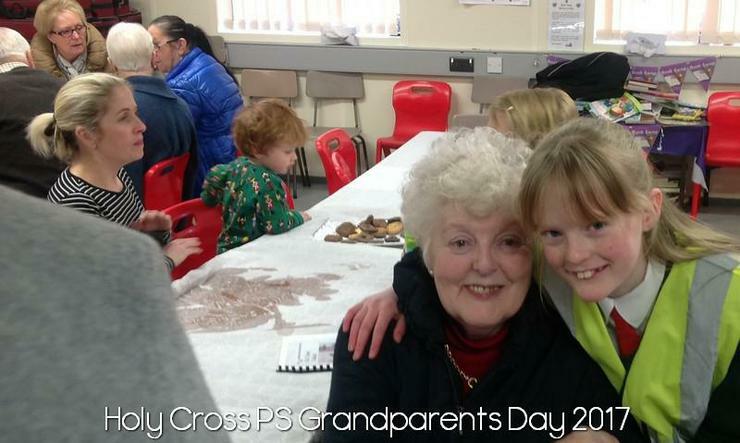 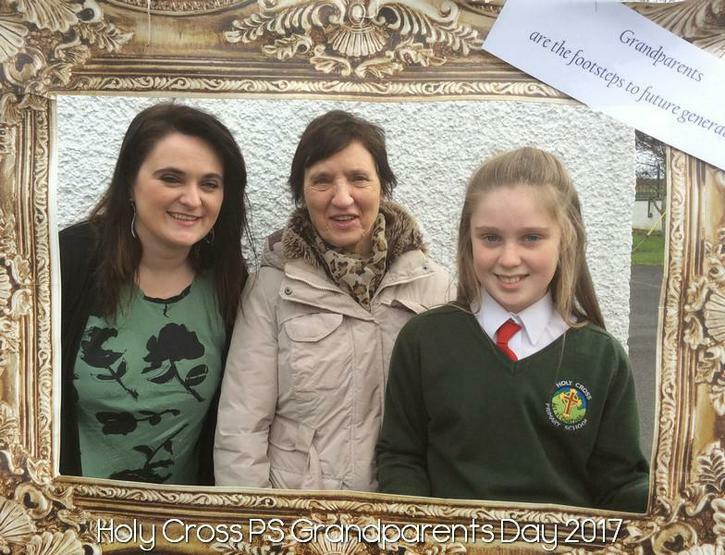 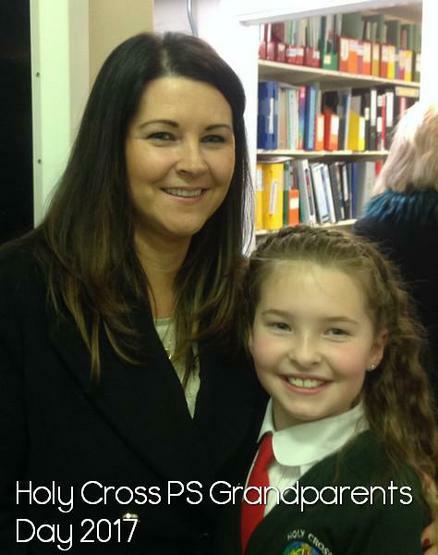 Grandparents were then invited back to the school for a well deserved cuppa' and a bun. 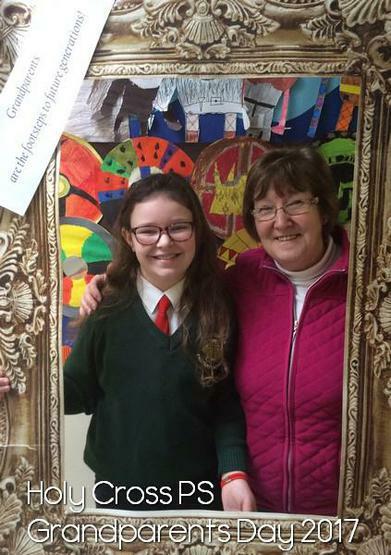 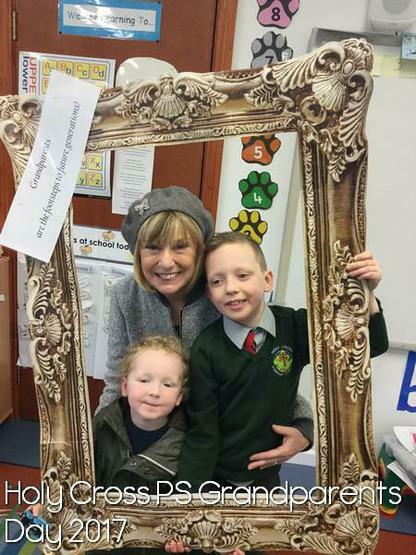 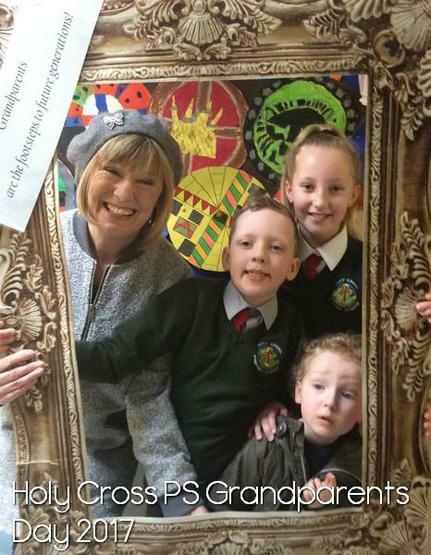 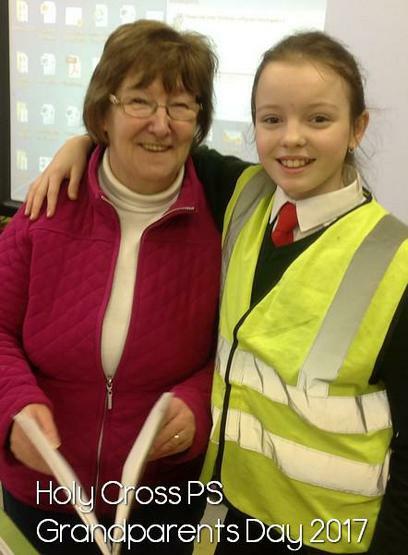 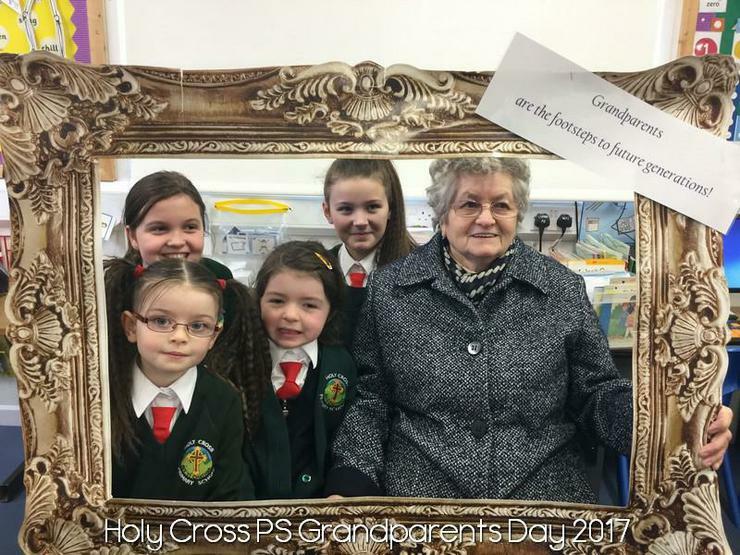 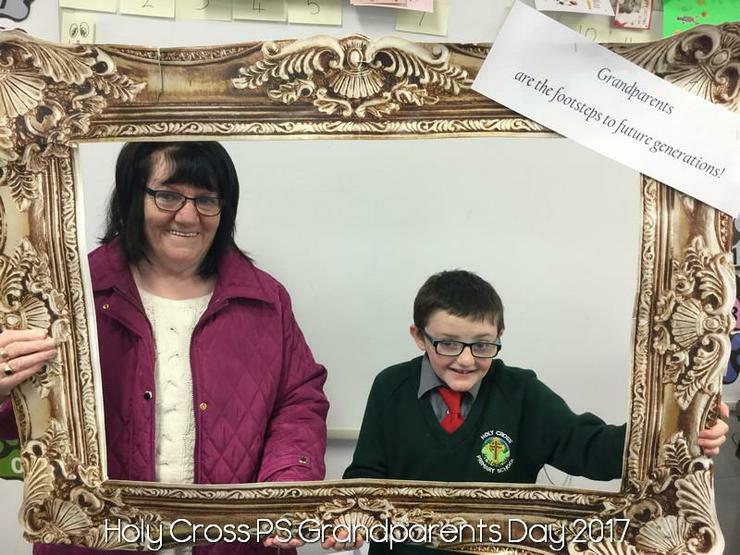 After tea, coffee, buns and cake our special guests toured the school and had pictures taken with their Grandchildren. 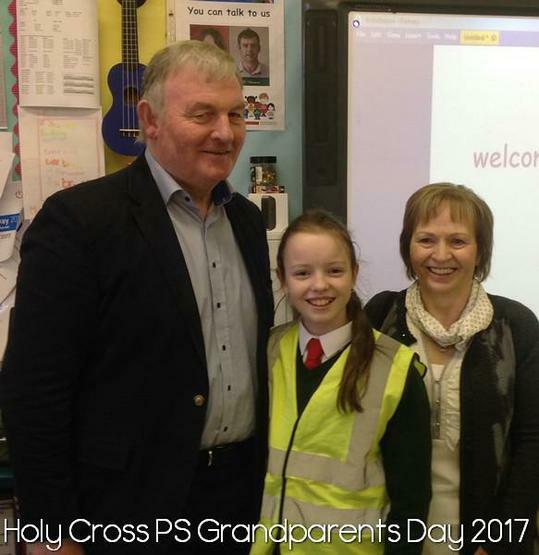 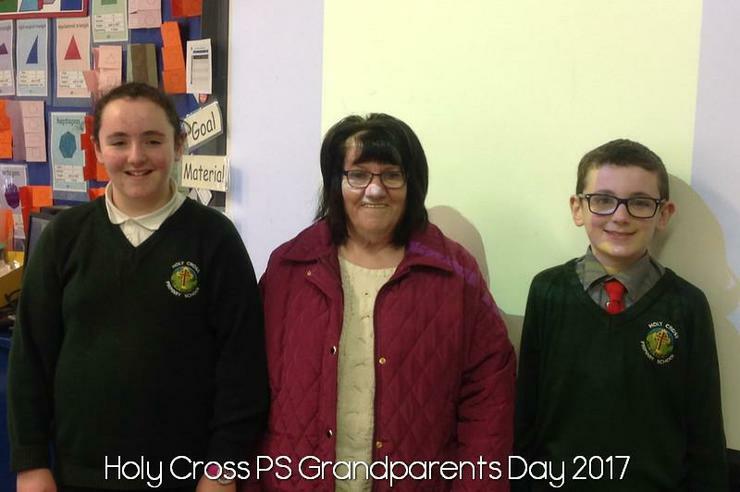 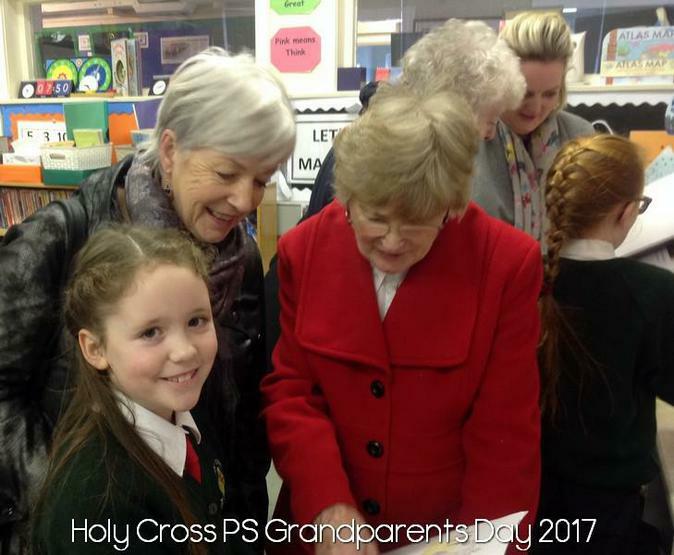 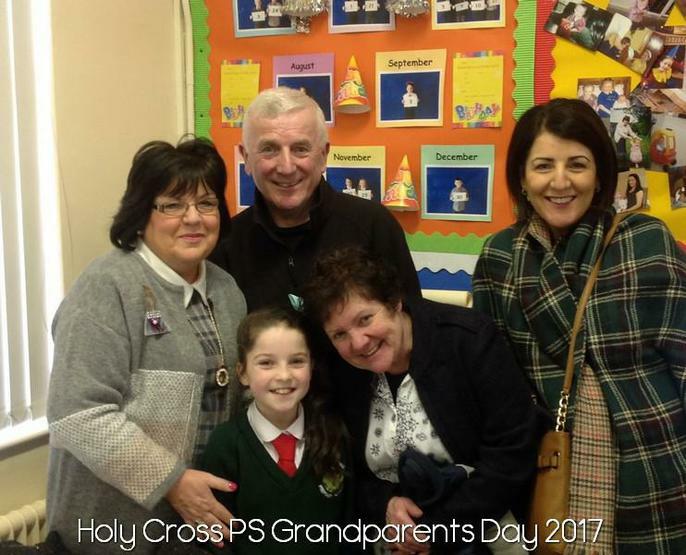 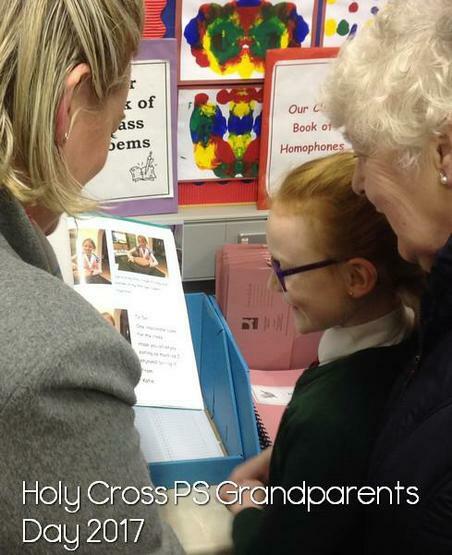 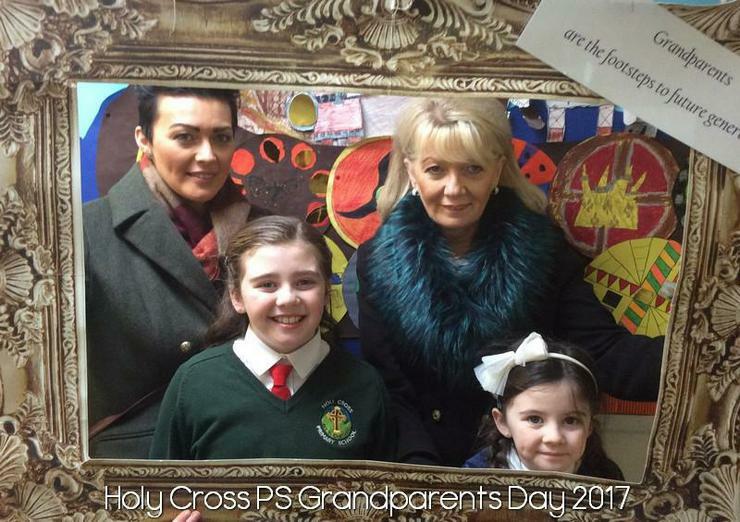 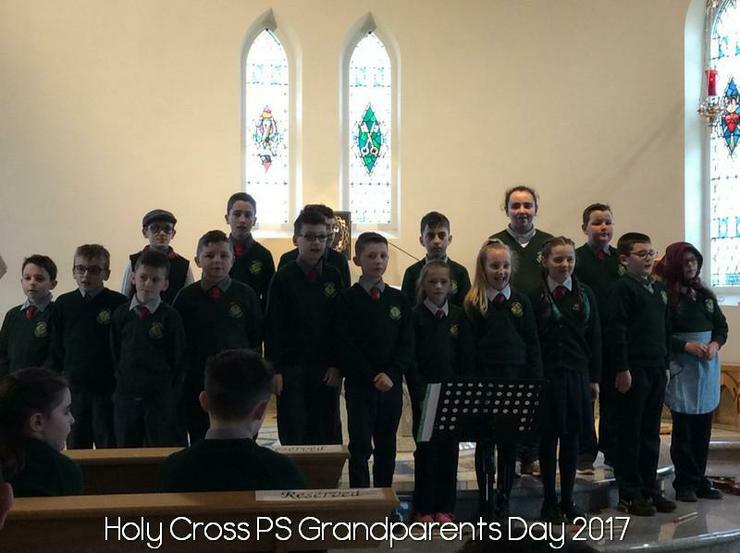 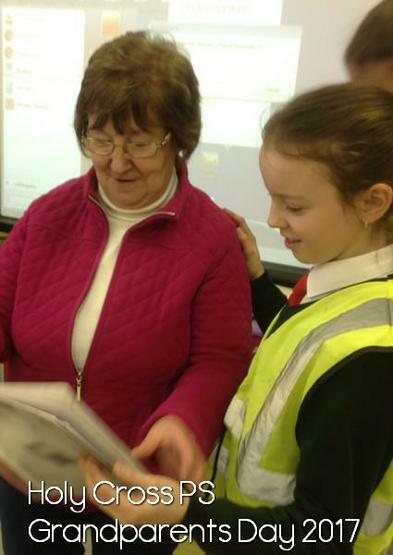 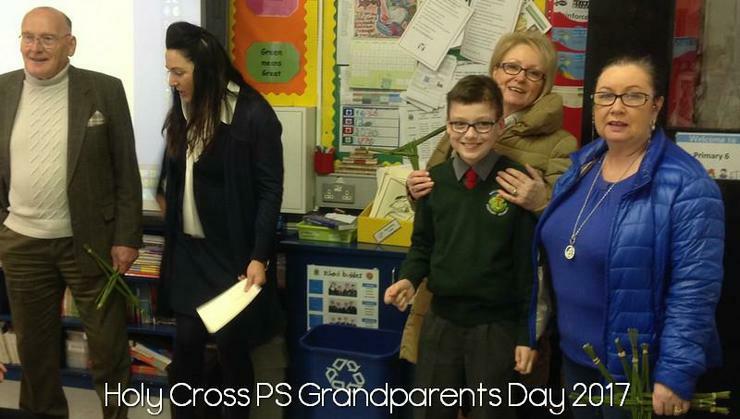 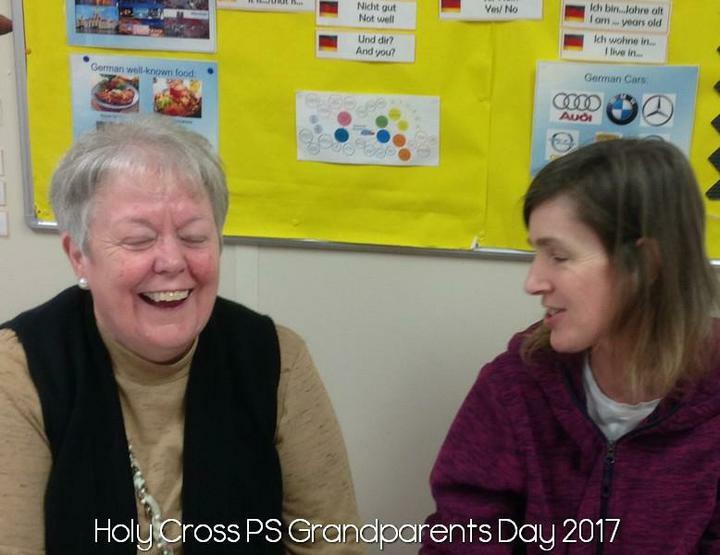 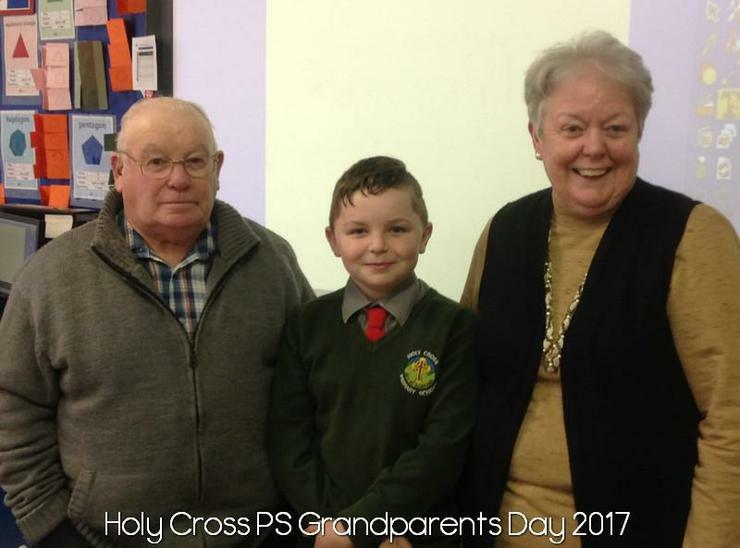 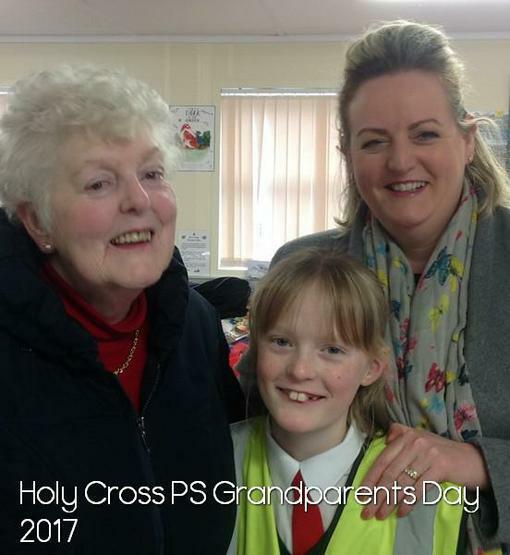 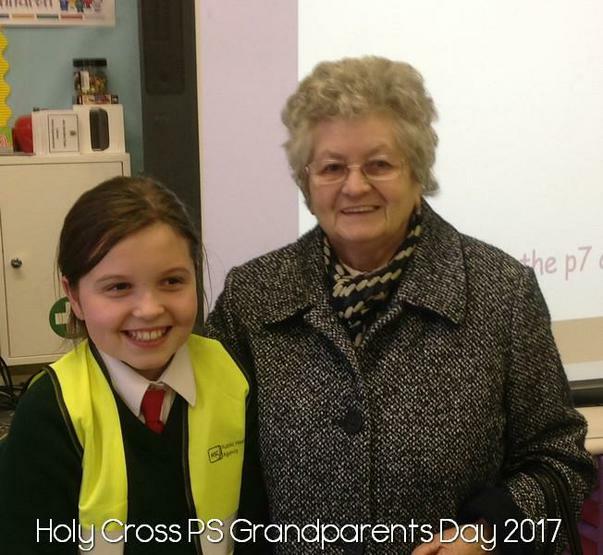 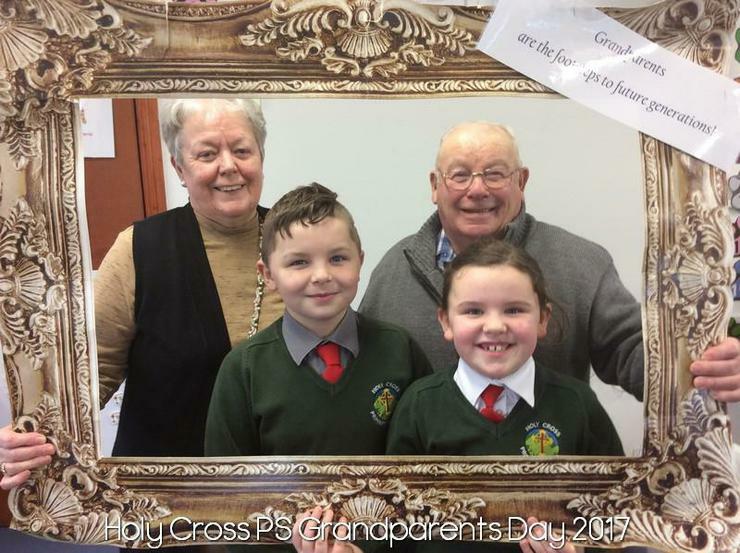 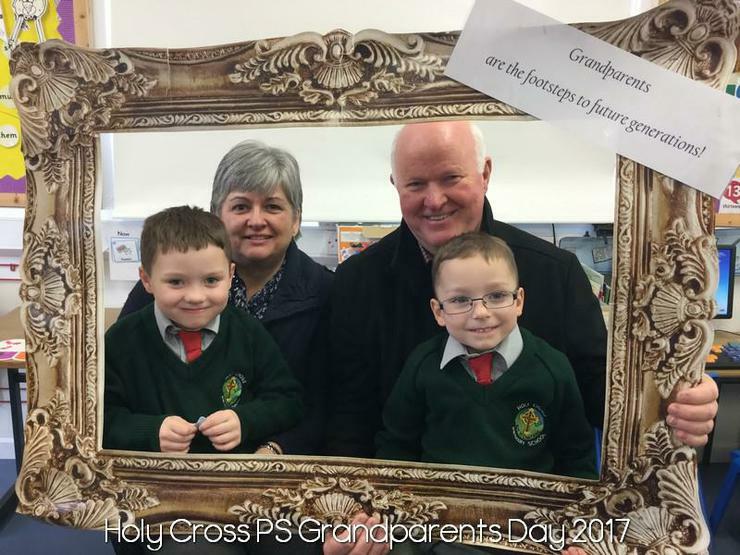 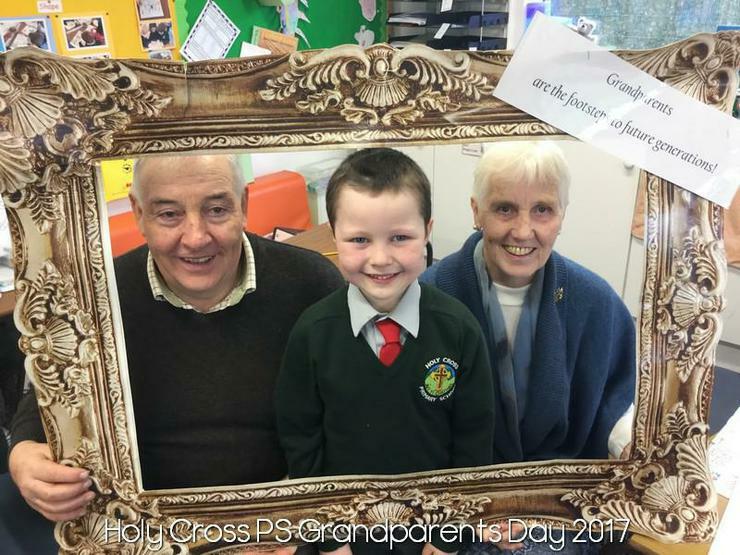 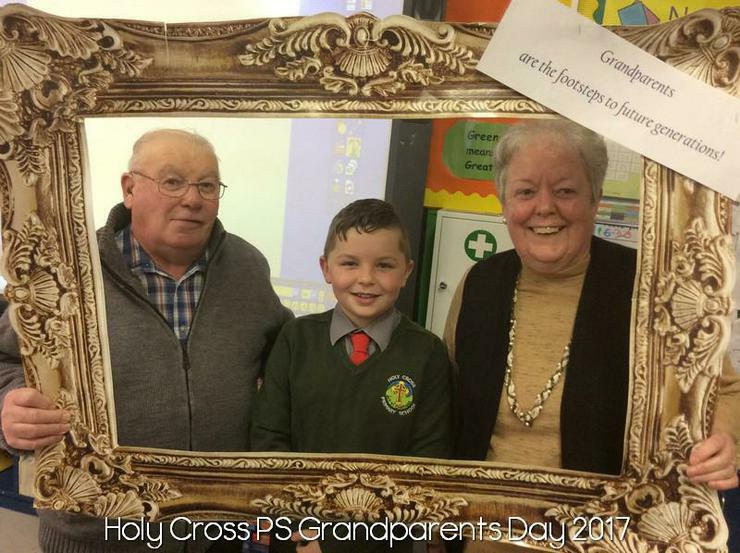 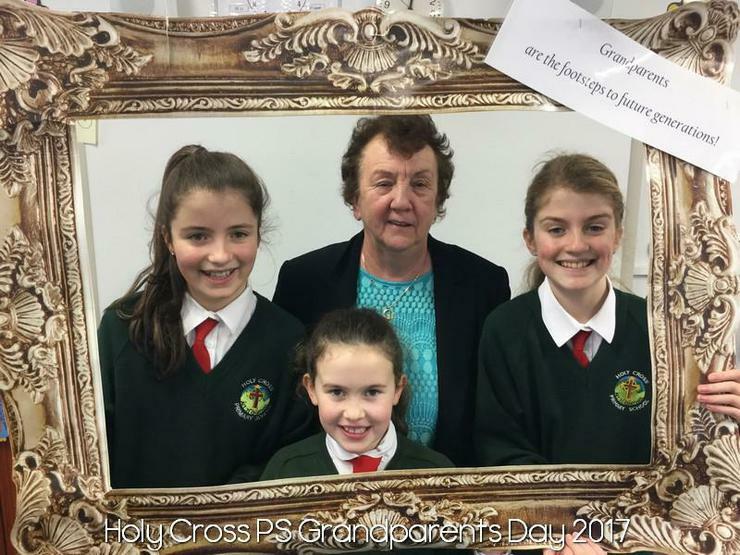 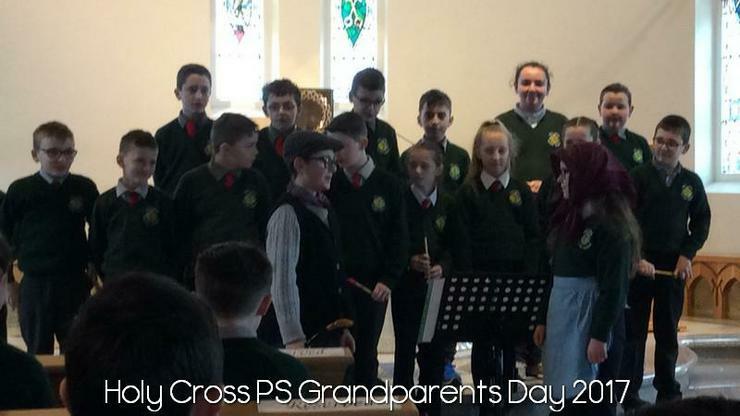 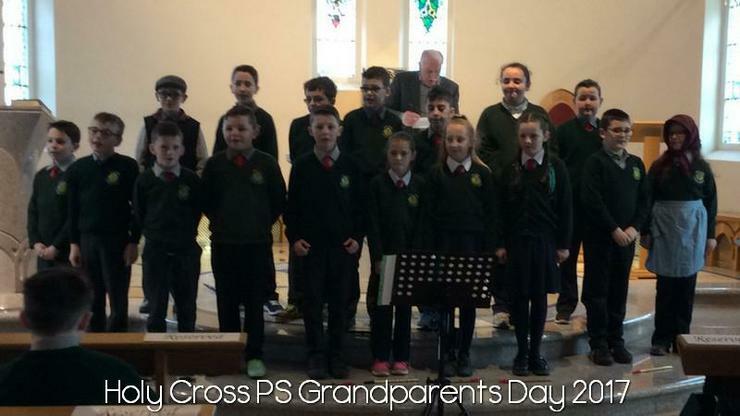 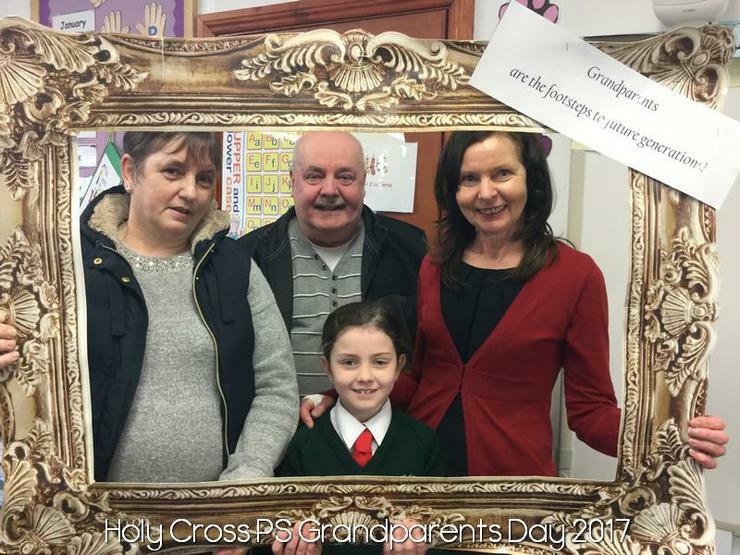 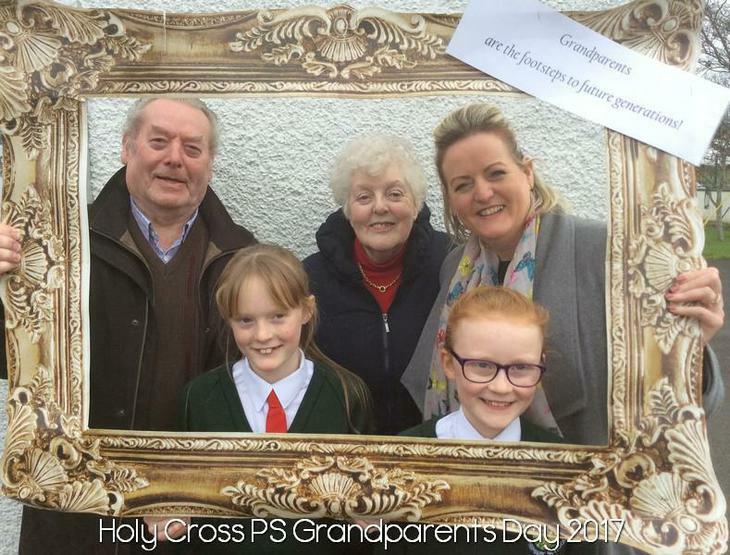 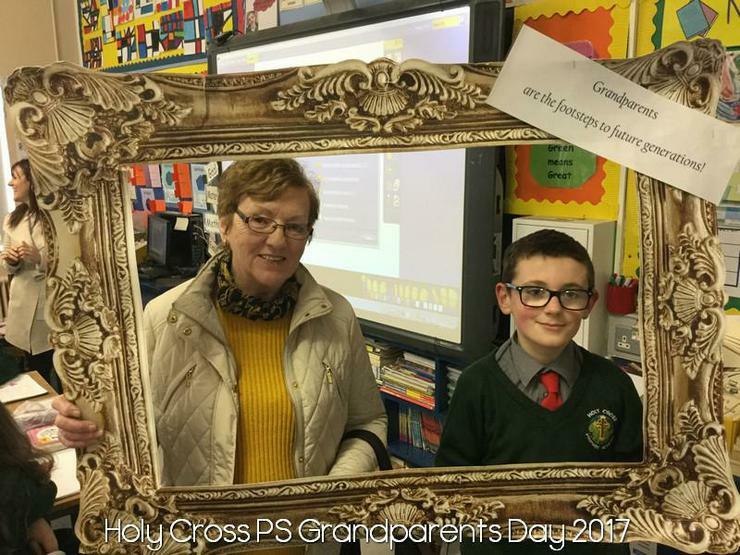 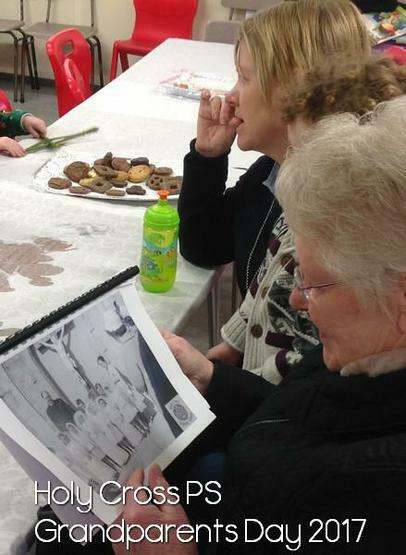 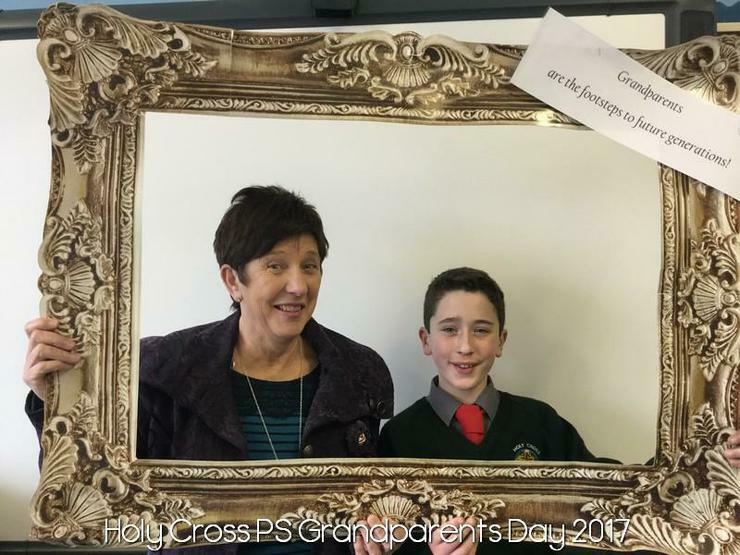 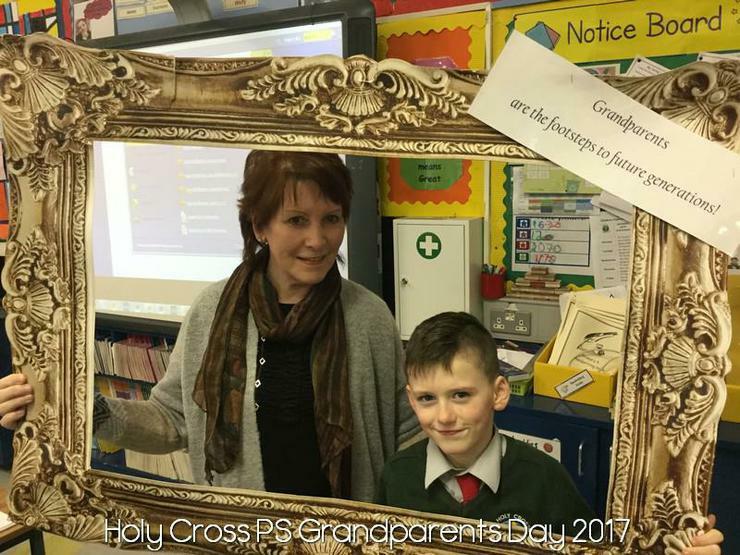 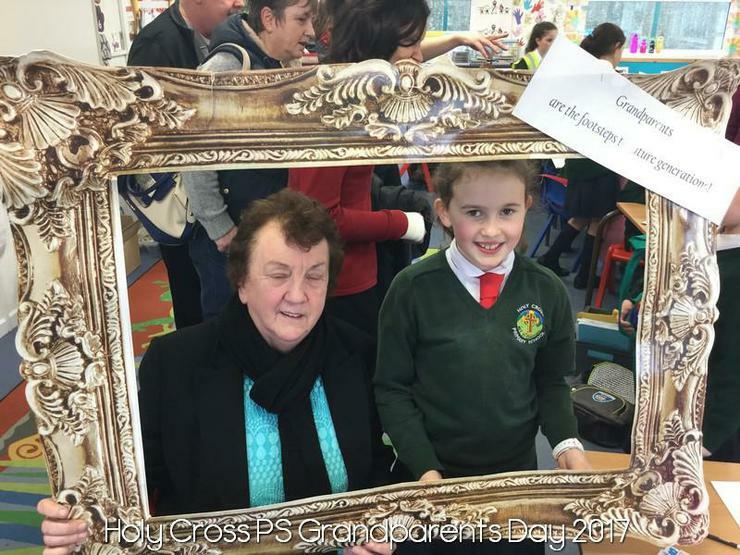 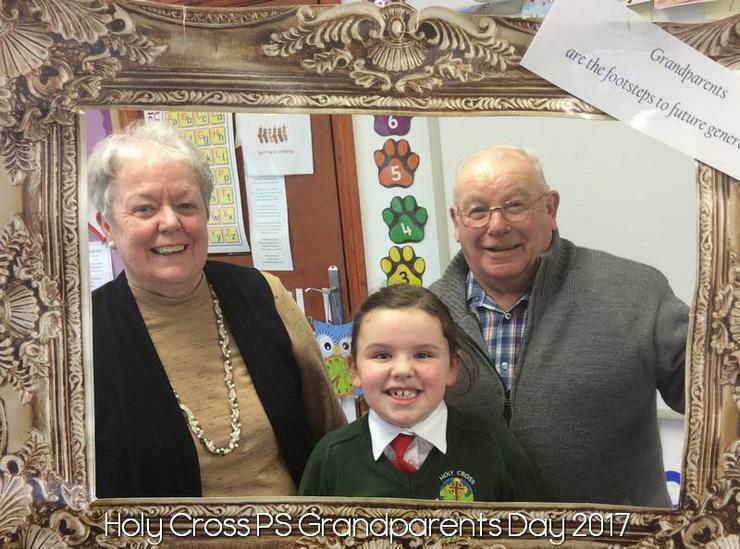 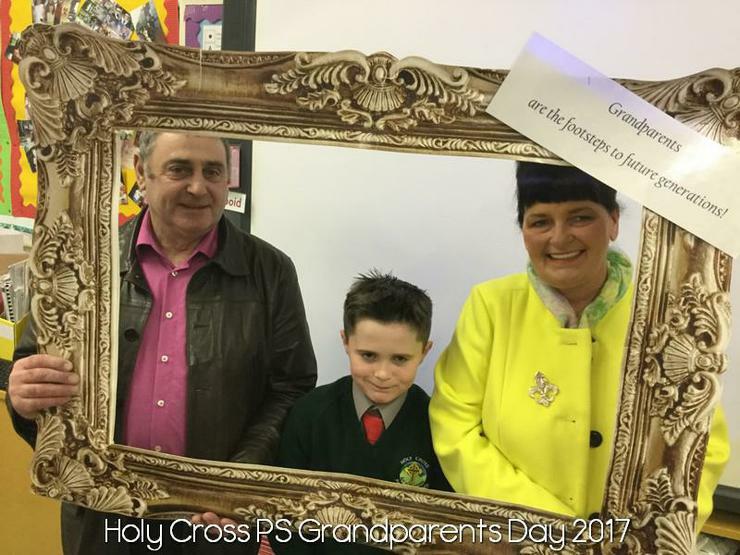 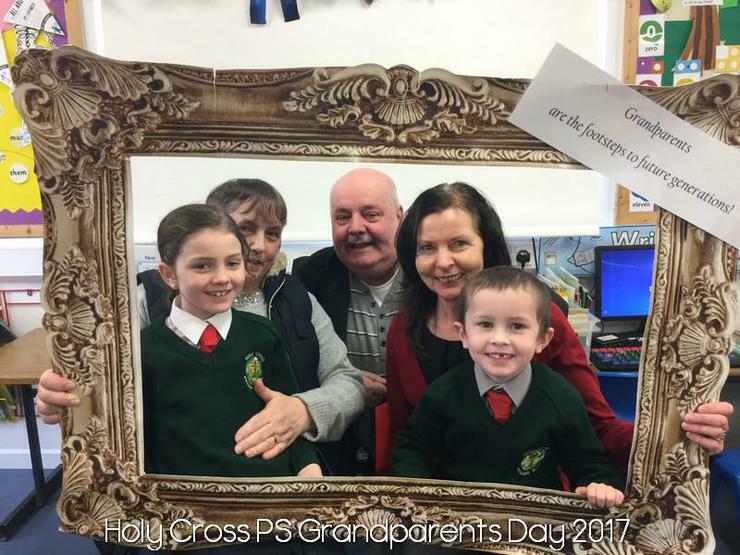 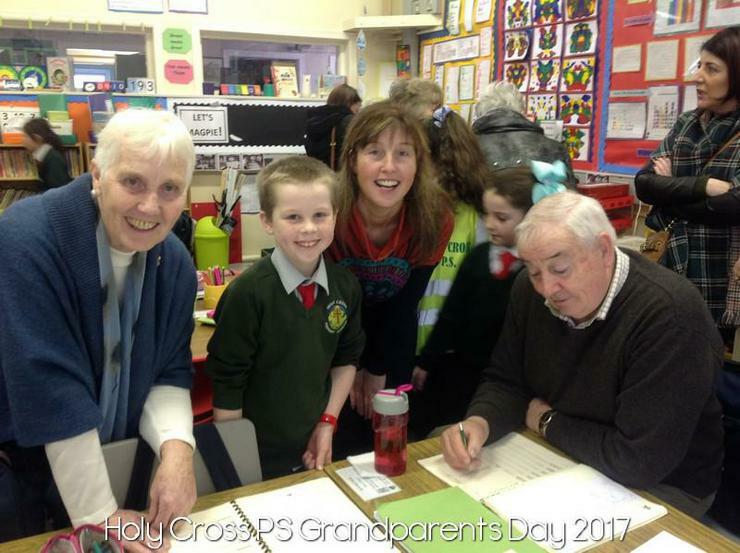 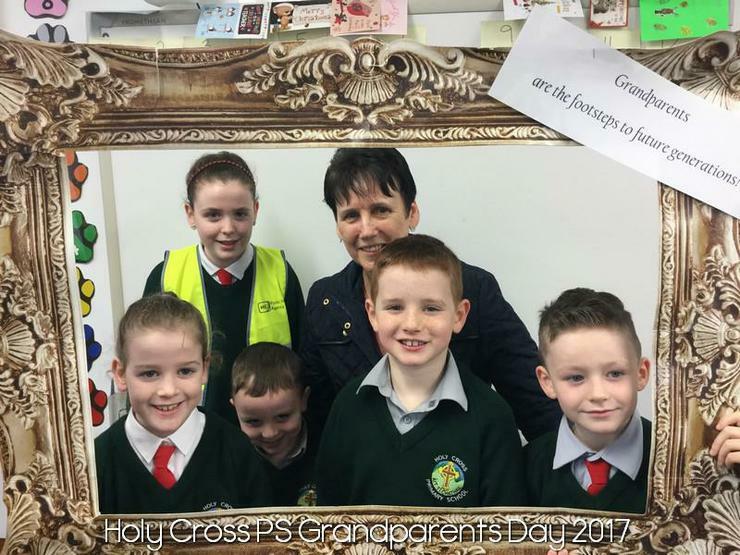 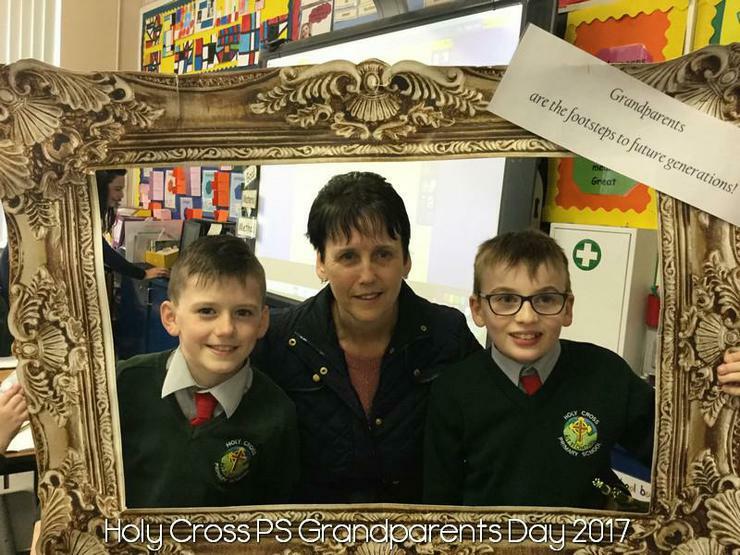 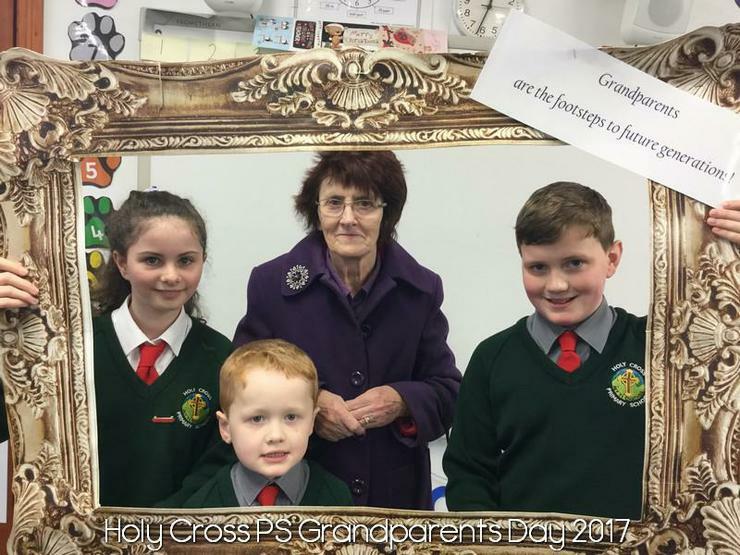 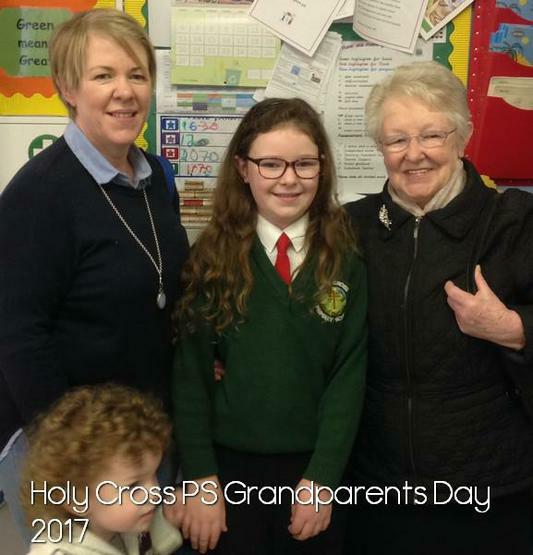 Our Grandparents shared their own school experiences with the children. 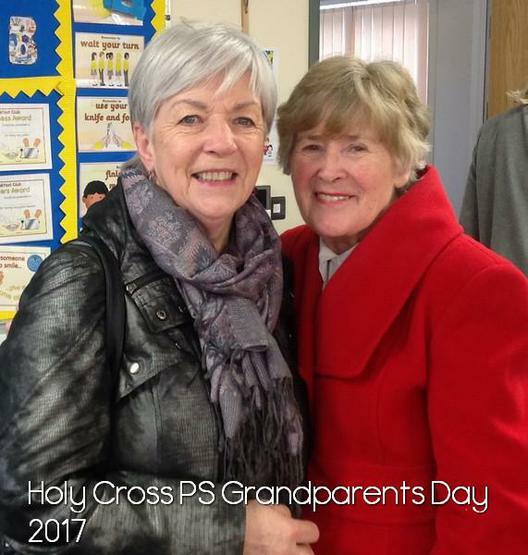 Special thank you to the Friends of Holy Cross for their wonderful support of this event.